THE BIGGEST MC BATTLE OF 2016 THUS FAR!!!! On Saturday March 26th fans traveled from all over the country to witness the All-Star game of MC Battling. SMACK/ URL paired up some of the biggest Battle MC's in the culture into teams for a 2 on 2 battle event and the result was electric. 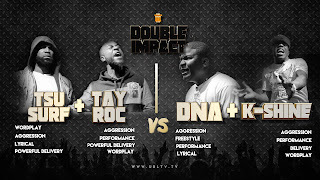 This is the main event of the evening which features TSU SURF/ TAY ROC VS DNA / K SHINE. . 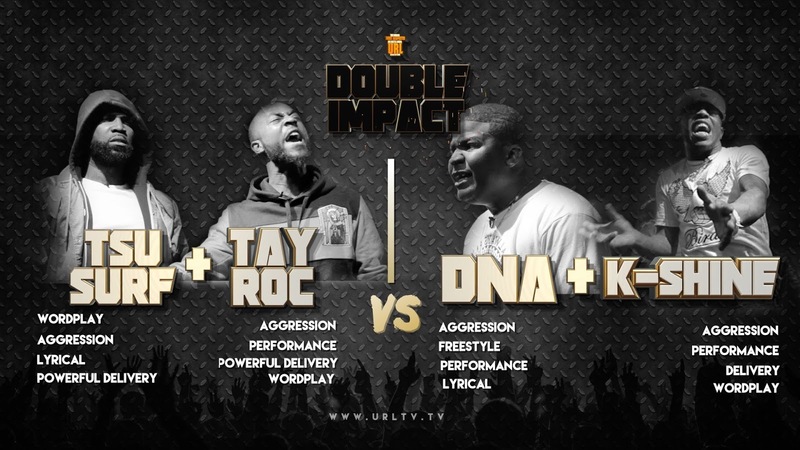 This is easily the biggest battle of the year thus far and one of the most talked about battles in SMACK/ URL history. FOLLOW THE MOVEMENT: @URLTV @SMACKWHITE @BEASLEYNYC @STREETSTARNORBES @RAIN910 @THISISTWIZZ @BELIKEIKE @NUNU_NELLZ @WEGOHARDTV @PSWISS300 @EBLTV.